The apocalyptic style of writing seems to have been inspired by prophetic books of the Bible, especially Daniel. What is the significance for us today? 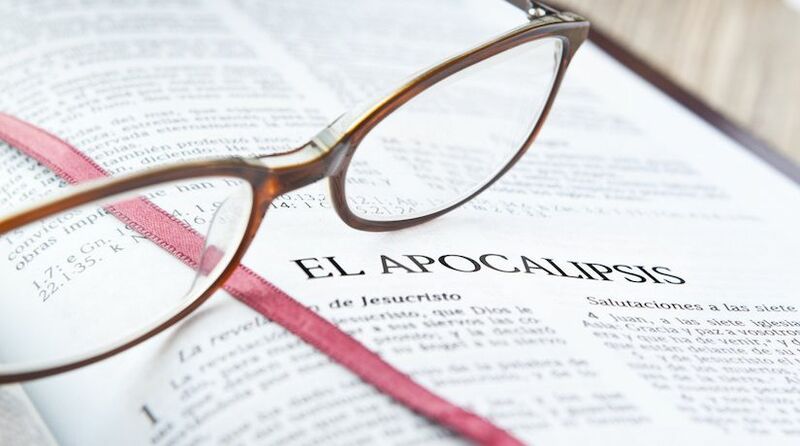 The book of Revelation (El Apocalipsis in Spanish) is an example of apocalyptic literature. Why is some literature in this style included in the Bible? Many Old Testament prophets were given visions by God of what society would be like when Israel and Judah returned to God and the Kingdom of God was established on earth. This futuristic aspect was a common theme. Within these visions to the prophets, there were occasionally symbols representing kingdoms and end-time powers. Symbols such as these are especially plentiful in the book of Daniel. In Daniel 2 an image seen by King Nebuchadnezzar in a dream is shown to represent four world-ruling empires. In Daniel 7 four beasts represent the same four kingdoms that would dominate the world. The book of Revelation, which is one of the most controversial and least understood books of the Bible, is likewise filled with symbols. Unlike any other book in the New Testament, Revelation has symbolic beasts and its setting is the time just before Christ’s return to earth and what He will do afterward. This style of writing filled with symbolism and visions has become known as apocalyptic. Apocalyptic comes from the Greek word apokalupsis, meaning “disclosure” or “revelation” (Revelation 1:1). Critics sometimes try to minimize the importance of portions of the Bible written in the apocalyptic style with the reasoning that all we can be sure of regarding these writings is that good eventually triumphs over evil. While it is certainly true that the goodness of God’s way of life will prevail in the long run, there is much more that we can gain from books of the Bible written in the apocalyptic style. After all, God the Father inspired this style of writing in the Bible (2 Timothy 3:16) and used it to convey the contents of the book of Revelation (Revelation 1:1). Why was this style used in the Bible? Because the apocalyptic style of writing involves symbolism that requires interpretation, some have wondered why this style is included in the Bible. Wouldn’t it have been simpler and easier to understand if a more straightforward approach had been taken? “Second, the subject matter, with its glimpses into the future and even into heaven itself, required the kind of language John used. Only through symbolism and imagery can we gain some understanding of the things the Lord was unveiling” (“Introduction to Revelation”). The use of apocalyptic writing in the Bible was inspired by God, and this style serves as an excellent literary medium for conveying future prophetic events. The fact that imposters also used the same style does not detract from the value of the biblical prophecies. As noted by The Expositor’s Bible Commentary, the apocalyptic style was especially well-suited to describe events of the future. This style bridges the approximately 2,000 years from when the vision of the book of Revelation was first recorded to today. The terminology used today is different from what was common in the first century to describe the political actions of nations, religious leaders, plagues and warfare. Yet through careful study of the book of Revelation, we can translate the symbols into 21st-century terminology. The biblical style of writing seems to have inspired a number of nonbiblical writings. The phrase “apocalyptic literature” is used to describe some of the noncanonical writings called the Apocrypha. The books that form the Apocrypha are included in some Bibles between the Old and New Testaments. Although these books are not part of God’s Word, some of them (such as 1 Maccabees) provide interesting historical details. It should also be noted that some writings from the Apocrypha contradict the Bible and that these works are never quoted by the writers of the New Testament. They were not considered part of the Bible during the first century. Other books in the apocalyptic style are referred to as pseudepigrapha, because the true identities of the authors were often concealed. According to The Message of Daniel by Ronald S. Wallace, “It added authority to the message for the writer to hide his identity and to put his message as if it were a prophecy or dream given centuries before. … Their revelations then described God’s secret plan for the end of the ages with the use of terms and symbols similar to those used in the book of Daniel” (1973, p. 24). Works of apocalyptic literature were “mainly of Jewish origin” and appeared “during the period between 210 BC and 200 AD” (The International Standard Bible Encyclopedia, “Apocalyptic Literature Introduction”). The International Standard Bible Encyclopedia also explains that “pseudepigraphic works … have many features in common. The most striking is the resemblance they all bear to the Book of Daniel.” Similar to the book of Daniel, many of them describe visions their authors purportedly saw. In summary, the use of apocalyptic writing in the Bible was inspired by God, and this style serves as an excellent literary medium for conveying future prophetic events. The fact that imposters also used the same style does not detract from the value of the biblical prophecies.